Great Britain Under-20s have unveiled their captaincy team for the upcoming World Championship Division II Group A tournament in Tallinn. Liam Kirk will captain the side while Jordan Kelsall and Chad Smith have been named as the alternate captains. 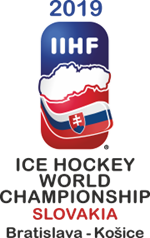 GB meet hosts Estonia, as well as Korea, Lithuania, Romania and Spain, from 13th to 19th January at the Tondiraba Ice Hall. Head coach, Slava Koulikov, said: “I think we have chosen a great leadership team and I have no doubt they will do a fantastic job. “But it was a tough choice as there were many candidates who could have undertaken the roles. All of GB U20s’ World Championship games will be shown on free-to-air television in the UK on FreeSports – and they begin their tournament against Lithuania tomorrow (Sunday).